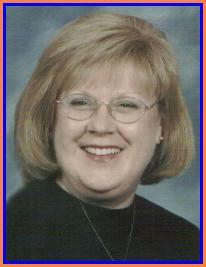 Attn: Dr. David Gaudino, 1300 Wheeling Ave. , Glen Dale, WV 26038.
no surprise that Debbie would become a teacher, as education and educators surrounded her. her determination as a teacher and example to the students of Union Junior High. the school lawn in loving memory of our teacher and friend, Mrs. Hinerman. 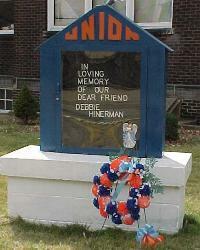 Mrs. Hinerman was a Union High School graduate and taught English here for the past 18 years. She was an Ironman through and through and will be sadly missed.